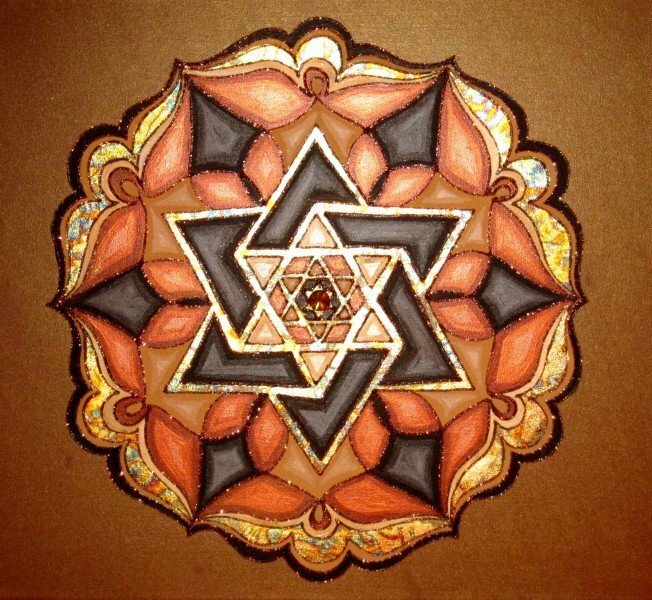 Tonda’s Star | Artwork – Store – Tammi B. Ph.D.
Hand painted mandala 18" x 18" acrylic, mixed medium, gold leafing and Swarovski crystals. Created with my awesome sister Tonda. The qualities of courage, cooperation and connection were intended and cultivated through the birthing of this painting. I would be happy to recreate this for you with any changes you would like.